WEST LAFAYETTE, Ind. – It looked bad, and then it looked worse and then it looked really good. 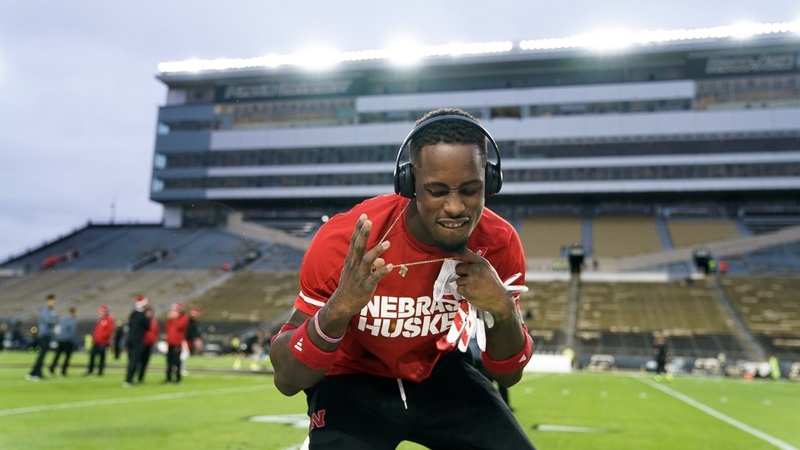 Nebraska fell behind 24-12 to a 3-4 Purdue team on the road but a touchdown pass from quarterback Tanner Lee to wideout Stanley Morgan Jr. with 14 seconds left in the game sealed a 25-24 win. In keeping with the "bad, bad, good" theme, here are the top tweets from a strange night in Indiana. Nebraska opened with a field goal, so we’ll open with this gem. Didn’t we hear Nebraska wanted to run the ball more? Our own Mark Kraynak, ever the optimist. If you tweet an Office gif, I will enjoy it. That’s a rule. We have another two-for this week because Derrick was on his game. After kicker Drew Brown’s second touchdown-saving tackle in as many games, his holder chimed in. Tailback Tre Bryant was watching from home after season-ending surgery. He did not like what saw. Finally, after so much negative, the positive came. Stanley Morgan Jr. with the walk-off (sort of). The Huskers’ wide receiver commit on his future teammate. Post-game video from the Huskers’ locker room after the win.